Ulun Danu Temple is one of the most popular temple in Bali Island . Almost appear in every search regarding Bali island and also as the most visited sites in Bali Island . The favorite place for weekend of local Balinese , due to cold climate and romantic atmosphere . Its a favorite place to visit indeed . Ulun Danu Temple administratively is belong to Tabanan region , Candi kunung village in the highland of Bedugul area . Approximately 3 hours drive from Bali airport toward northern part of Bali island . 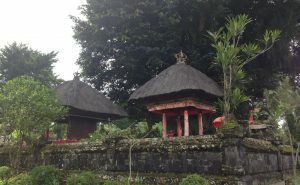 The temple lies on the western shore of Beratan lake , one of the biggest among 4 lakes in Bali island . This highland is right in the center of Bali island along the main street that connect south to north Bali . About 1200 meters above sea level with surrounded by mountain make this place is a romantic and misty atmosphere . Its a perfect place to spend your afternoon time indeed . Some shrine are built on the water and as an icon of every picture of Bali photographs . Ulun Danu Temple is a major temple in Bali , one of the temple among the nine Khayangan Jagat Temples around Bali . Khayangan Jagat is a major Temple in Bali , the temple that built for all Hindu believer all around the world . Here we worship the God on his manifestation as a lord of lake Dewi Danu . 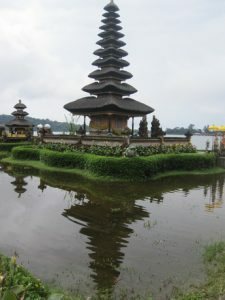 For the Bali peoples that the lake is important source for irrigation . Beside that there are also shrine to worship Lord Siva and also Buddhist . The story of Ulun Danu Temple founded on Mengwi inscription . Here written that the temple build around 16 century by I Gusti Agung Putu . He is also the founder of the Mengwi Kingdom . Base on story that he did meditation to worship the God for help to defeat his enemy . He was defeated during the war and return back after meditation on the top of Mount Mangu , beside the lake . After he build Mengwi Kingdom and helping King of Tabanan to defeat all the enemies and than he build the temple in Beratan Lake to worship the God of the mountain for his blessing . 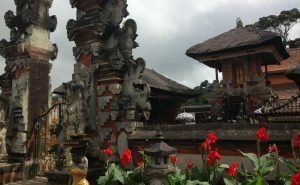 In addition here bellow the temples around Ulun Danu temple complex . The main temple on shore of Beratan Lake to worship the God as Tri Purusa . Siva , Sada Siva and Parama Siva . The temple facing to the south on the left hand side after we entering the main gate of the temple . Inside the huge entrance gate and surrounded by Balinese wall architecture . In front of the main gate at the right hand side with huge Banyan three as a parth of the temple . Here we worship Devi Durga or in our local words call Dalem Prajapati , the God of the death . Located by the lake shore on the south gate of the main temple . This shrines also to worship Devi Durga and Lord Ludra on his manifestation as the lord of prosperity . The main gate facing the the east and the bank of the lake . This is the most temple on photographs , built on the water in the east of Penataran Agung temple . There are the main shrine with 11 number of roof , dedicated to Lord Vishnu and Devi Danu . The God on his manifestation who giving the agriculture fertility . The temple where we worship God on his form as Lord Paramesthi Guru and Devi Durga . Buddhist Temple at the outer yard of the Temple . As we know our Hindu in Bali use to call Siva Buddha , we adopt the Buddha concept as a symbol of peace . Outside the main gate on the left hand direction facing the the south . Buddhist is a symbol of peace and also giving a harmony of life . The temple is located further away in the north side of the Temple complex . The only temple which is separate from the other temple . 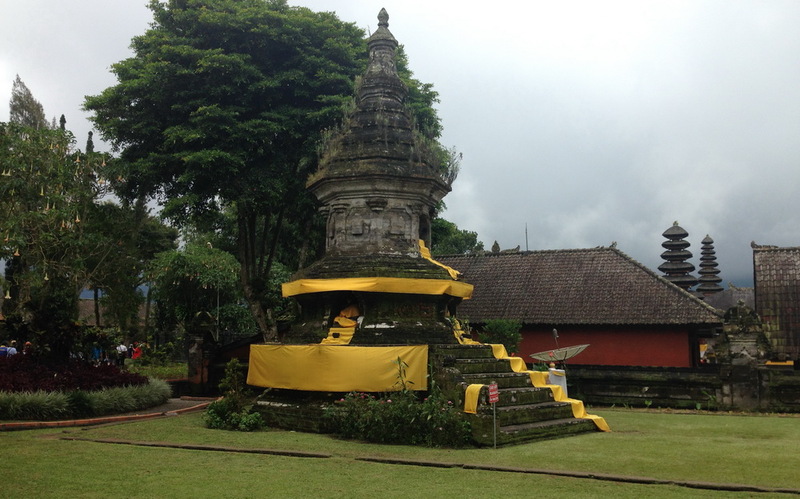 The purpose of this temple is as a place for purification ceremony or also known for Melasti ceremony temple . Note : This temple is the most visited temple in Bali Island . Most popular sites for local domestic tourist . The temple will always full and crowded , so morning before 10 am will be the best time and after 3 pm will be less peoples . Avoid to come during weekend holiday . I adore ancient history. Temples like this that are still standing provide so much to us today. And in just saying… I would love to fish for giant carp in those waters. Thank you for reading and leave your comment on my post . Please visit our island ya and I will bring you to best spot for fishing hehehe …. Or see the Mola Mola ancient fish ! Looks amazing! I’m going to have to add it to my bucket list! Your pictures are great! Bali is on my list of places to go!!! I have always wanted to go to Bali and you just gave me another reason why I need to make it sooner rather than later! Breathtaking photos. It really highlighted the beauty of your island and a great peak into history.